A simple search on Google using “how to speak English better” will lead to a number of excellent pages. For the record, our personal favorite is the second one: 33 ways to speak better English - British English Coach. We’ve pointed many followers to the aforementioned website, including the anon above. Most people have replied with appreciation and gratitude, but a handful have commented that 33 tips are too many. Even though most of British English Coach’s tips are concise, we understand that trying to follow 33 tips can seem daunting. In this article, we will attempt to offer just threetips. If you adhere to them, we are confident that you will soon find yourself communicating in English with aplomb and flair. 👀 Notice the interrobang (?!) and the emphatic “fun” in the last panel. We often speak that way when we’re skeptical of, frustrated by, or shocked by something. 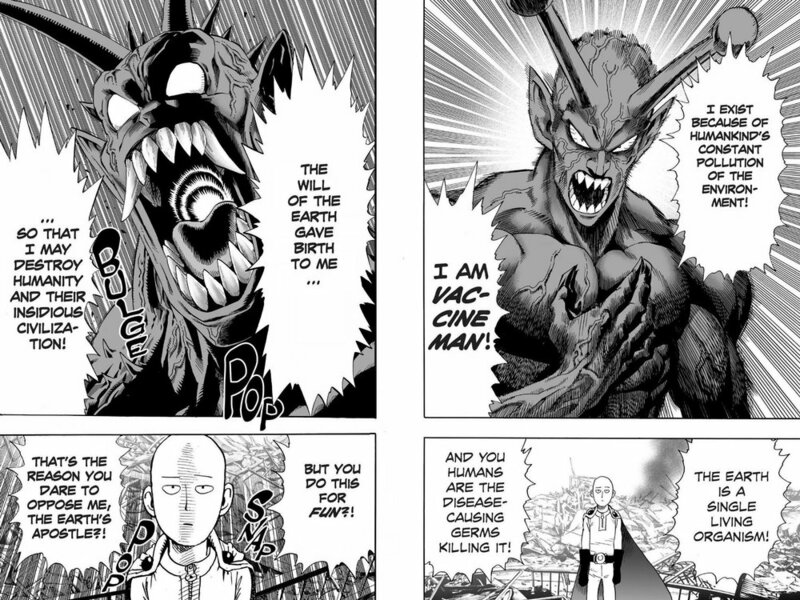 This translation (from the official Viz Media version) also cleverly used “insidious” correctly. Reading pages like this aloud will allow the reader to 1) get a sense of the rhythm and flow of spoken English and 2) learn how to use difficult words in the proper context. Reading out loud is like listening to a song. Reading silently is like looking at the lyrics of a song. Which do you think is more effective? Henry, our proud leader, learned Korean by listening to—and singing along with—K-pop songs. Whenever he stumbled upon a difficult word, he looked it up. Whenever he came upon a slang phrase (e.g., 쩔어 [Zutter]—a word that is prominent in songs from both BIGBANG and BTS), he looked it up. The Internet makes following along to songs in a different language so easy, with translated and romanized lyrics. Having struggled with learning Spanish and Korean, we know the temptation to stick to a language we know well. Instead of fumbling for words in an unfamiliar language, it would have been infinitely easier to revert to using English. We learned the hard way, however, that habitually doing so will eliminate all the progress we have made in learning Korean and Spanish. The key to getting good at anything is consistency. Following one of the aforementioned three tips once in a while isn’t going to make any impact. At all. We’ll leave you with one of our favorite motivational quotes. We hope that it spurs you to stick with these tips until you achieve your goal of speaking English better.